As president of the Central Vermont Chamber of Commerce, William Moore has been involved with business associations at the state and national level for decades, and he has a finger on the pulse of Vermont’s business community. Each year, the Chamber advocates for its members by putting out public policy positions, programs, seminars and other services that help them thrive. 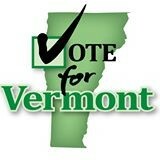 But Vermont has a reputation for having a poor business climate, largely due to burdensome regulations and high taxes. Moore says his members desperately need greater predictability from Vermont business policy. In this episode of Vote for Vermont, host Pat McDonald interviews the Chamber leader on the latest happenings of the legislative session and what will be good or bad for Vermont business. Among other concerns, Moore says S.197, a bill to regulate chemicals used by businesses, could have been devastating to the state economy if not for the governor’s veto. He said no other state in the nation would have put so much liability on companies for any negative impact a chemical might have — even if it occurs decades after the fact. He hopes that lawmakers can be a little more understanding. “I think a lot of the members of the General Assembly only have signed one side of a paycheck, so they don’t understand the complexities of doing business, and they don’t know what it really means to have to meet a payroll,” he says. Duplicate comment detected? Or one you don’t like. Take True North SOUTH. Moore would be worth listening to if his organization cleaned up it’s act nationally. The grand poobah of the chamber once stated that anyone against illegal immigration was dumber than a “box of rocks”. I understand that he received a huge number of boxes in the mail containing rocks of all kinds, totaling several tons. More and Moore, the chamber is ineffective. But you already have predictability: Burdensome regulations and high taxes. With Scott as governor, there will be only a temporary delay in the downhill slide, say 4 to 6 years. Then the downward slide of spend and tax and regulate will resume itself with a Democrat of Progressive governor.